Note: Todays lesson is from the book Nature Quest published by the Review and Harrold Publishing Association, a book you should have in your library! Today’s text is God’s very first promise of a Savior for the race Adam and Eve had just experienced deception and defeat by Satan, who had come to them in the form of the serpent. God addressed the statement to that serpent, but only as it represents Satan. The symbol of a woman represents people on earth. NO one can question the superiority of Great Horned Owl over a snake. As it flies on silent wings, the owl hears so well that even on a dark it can follow the slightest sound directly to it’s prey. 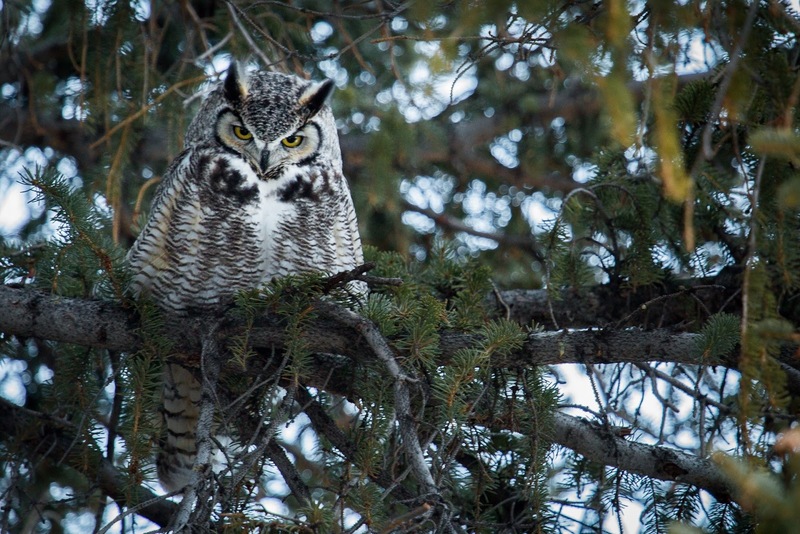 The owl then uses its razor-sharp claws to capture and kill its victim in one lethal motion. But even a bird as powerful as an awl can a critical mistake. A man in New England Observed a Great Horned owl that had captured a black snake. The owl’s claws had not punctured any the snake's vital organs. The owl could not get to the snake’s head before the snake's defensive reflex sprang into action. The snake wrapped itself around the owl so tightly that it left the bird helpless. The two creatures were locked in a death struggle The owl—not the serpent—would have died it the man not intervened. He killed the snake and set the owl free. But the struggle had weakened the owl and it could not fly had rested to regain its strength. Do you ever feel like you are completely defeated in life? What can we do when we feel completely overtaken by life or by Satan’s power? Why are will still stuck here in Satan’s domain if Jesus already overcame him a long time ago? 1 James A. Tucker, Priscilla Tucker, Nature Quest (Hagerstown: Review and Harold Publishing Association, 1994).